I’m going to begin the new year with an old subject, which reared its ugly head again last month, in a minor Facebook kerfluffle. The posting an article about the progress of Norristown’s Lafayette Street Project initiated the discussion. I support the project, and have made that clear in previous posts [3/11/16, 4/8/16, 1/6/17]. I replied to some people who were disparaging it, and things took off from there. I thought we would be discussing the merits—or lack of them—of the project, but I was wrong. It turns out they weren’t objecting to my position, but my right to have an opinion in the first place. I don’t live in Norristown, you see, so why should anyone listen to what I have to say? While I certainly agree that the family unit possesses internal defenses against predatory outsiders, I’ve never heard that described as “parochialism.” Of course, I’m a “language Nazi,” because I believe that both the proper words and proper grammar should be used in verbal or written conversation (It’s an old-fashioned belief, I know, but that’s because I’m old), so I have to take issue with this application of the word. When I called the automatic rejection of an opinion because the author doesn’t live in your community “parochialism,” I was employing the definition Oxford Dictionaries offers: “a limited or narrow outlook, especially focused on a local area; narrow-mindedness.” If that makes me an “effete,” then let me also offer that I like the Wikipedia version: "Parochialism is the state of mind, whereby one focuses on small sections of an issue rather than considering its wider context." I have several problems with parochialism, and one of them follows from the fact that it is, as Harari points out, an instinct, a legacy of our eons spent in small bands of hunter-gatherers. In today’s interlocked and interdependent world, such ancient instincts are almost always counterproductive. Appeals to ancient instincts are not based on issues or positions, they are purely tactics, intended to evoke a deep instinct to oppose something—or someone—for no rational reason. They abound, and exist within every town, township, or other political entity. As I have a fresh and vivid opportunity to demonstrate just how pernicious an appeal to parochialism can become, I’m going to use it: Alabama. The recent election offered a fresh lesson in how a basic human instinct can be perverted to buttress an ignoble cause. When the Moore campaign could not refute the charges against him, they appealed to parochialism, decrying the opinions of “outsiders.” They did so because appeals to parochialism evoke a powerful instinct, and not just in the South. Appeals to parochialism usually are successful; the Moore campaign failed only because of the heinousness of the issue they were trying to obfuscate. Trump was considerably more successful. Now please don’t confuse things by saying that I am “comparing Norristown to Alabama.” I’m not; I’m talking about parochialism. 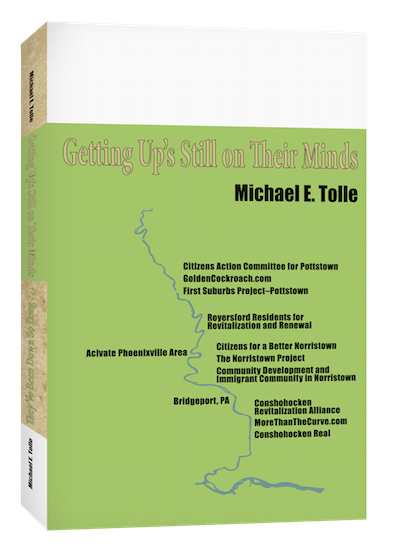 Alabama and Norristown possess toolkits that are miles apart, but parochialism is the same tool, and is found in both. That’s because parochialism can have a continuum of possibilities; Alabama is just one on the extreme end of the continuum. Besides, condemnations of everyone in any political entity are unjustified. Alabama just demonstrated that. Norristown can too, and must. 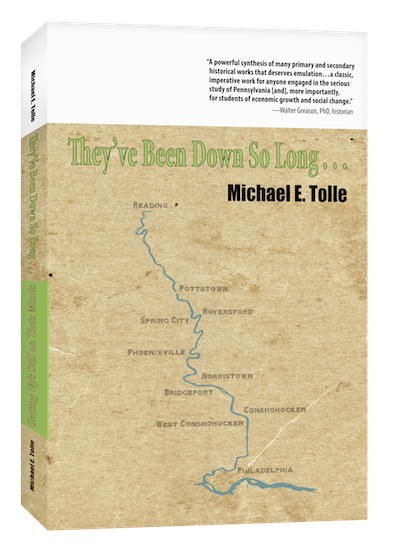 The resources Norristown possesses are not, by themselves, sufficient to make headway in a world that has changed so much since the glory days of the Schuylkill River towns. Take a look at a local map and you will see what I mean. Southeastern Pennsylvania possesses one of the most extensive and interlocking systems of limited-access highways in the United States. Norristown appears to sit right in the middle, accessible from everywhere. In fact it is accessible from nowhere. It has no connection to any of these highways. Did you know that was deliberate? In the early 1950s, when the Turnpike was first making its way eastward, PennDOT planned an interchange at the east end of town. Virtually everyone in Norristown opposed this, even sending delegations to Harrisburg to fight it. Norristown was doing just fine by itself, connecting to outsiders would only ruin downtown. PENNDoT listened, and the Interchange was moved to its present location well east of town. As a result, for the last sixty years, everyone taking the “Norristown Exit” has discovered it doesn’t lead to Norristown. Nothing else does either, and downtown is long dead. The Lafayette Street Project thus offers Norristown what it has been missing for decades, a connection that makes Norristown accessible to outsiders. That’s a lesson from history, when Norristown felt itself strong enough to prosper by itself, without any connection to outsiders. Norristown was wrong, and the results are obvious. 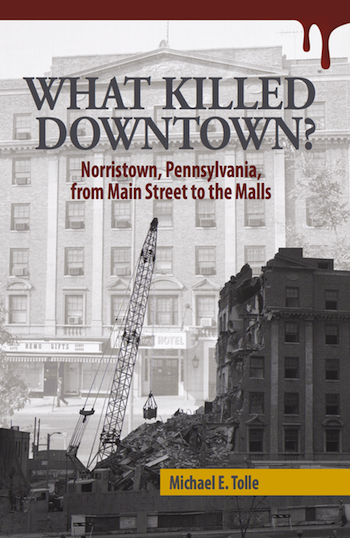 Parochialism helped to destroy Norristown’s prosperity. I’m not exactly sure what my correspondent meant by “rugged parochialism,” as I have never seen those two words linked before. He’s onto something however, because Norristown’s decades-long period demonstrating the negative results of parochialism has been rugged indeed. So put your focus on the Lafayette Street project, where it belongs, and put aside irrelevant distractions offered by the habitual nay-sayers. What does it offer? What are its downsides? Can it become part of and contribute to a broader program for Norristown revival? These are the questions that should matter, the important ones. Then continue to apply that approach to other issues. Reject parochialism.